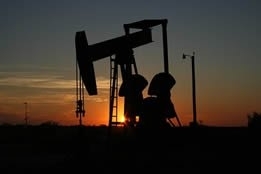 The high crude prices that so many analysts once hoped could be achieved by the Organization of the Petroleum Exporting Countries (OPEC) production cutbacks are said to be causing more headaches, this time for European refiners whose margins fell last week to $1.14 per barrel, the lowest level in three years, according to Barclays. Barclays reported that fuel oil demand is being compromised as crude rises, and hydroskimming refineries are particularly vulnerable to the slump because they are less able than complex refiners to convert fuel oil into diesel or gasoline. Moreover, Bloomberg data shows that high imports of fuels like diesel from the Middle East are also impacting European refining profits, and shipments of fuels are expected to rise in January to the highest in at least a year. Ed Morse, head of commodities research, Citigroup Inc.
Unsurprisingly, as crude continued to make gains on Wednesday, more talk from the experts focused on the premise that OPEC has done its job too well by boosting prices and thus encouraging even more U.S. shale growth - and that therefore the cartel will surely change course with regards to its cutbacks. This was the contention of Ed Morse, head of commodities research at Citigroup Inc., who noted that "OPEC are fearful of not only the shale response, but of deep water and of oil sands from Canada"; he added that "There could be an agreement on ramping production back up over the summer." Fatih Birol, executive director for the International Energy Agency, told Bloomberg television that "the United States will be the number one country in terms of oil production...and in terms of natural gas production." But he went on to state the familiar argument that OPEC contributing to the higher prices is encouraging greater U.S. production, which in turn will "push down the prices." In this light, it's difficult to determine why Morse would worry about OPEC ending its cutbacks prematurely, especially considering Citigroup as well as Societe Generale have both predicted that the pressure to change strategy is likely to ease in coming weeks as oil prices retreat due to the need for winter fuel abating and hedge funds taking profit from the current rally. And if a market correction is inevitable, it's even harder to understand why media is portraying many OPEC members and non-members as pleading with the cartel to maintain course with regards to its reduction strategy - especially when nobody has indicated it will pull out prematurely. Earlier this week, Alexander Novak, energy minister for Russia, was portrayed as being the latest to jump on this bandwagon: he was quoted on the sidelines of a conference as saying, "Right now, I think the agreement must continue and not react to momentary, passing changes." As part of plan to meet increased demand post-Brexit. However, Bob Iaccino says trades disputes still need to be successfully resolved.